Around 30,000 Kurdish supporters took to the streets in the German city of Frankfurt on Saturday to denounce the Turkish President and the upcoming referendum which seeks to expand his presidential powers. The protesters carried Iraqi Kurdistan flags and banners with the portrait of Abdullah Ocalan, the leader of the Kurdistan Workers Party (PKK), who remains in a Turkish prison. 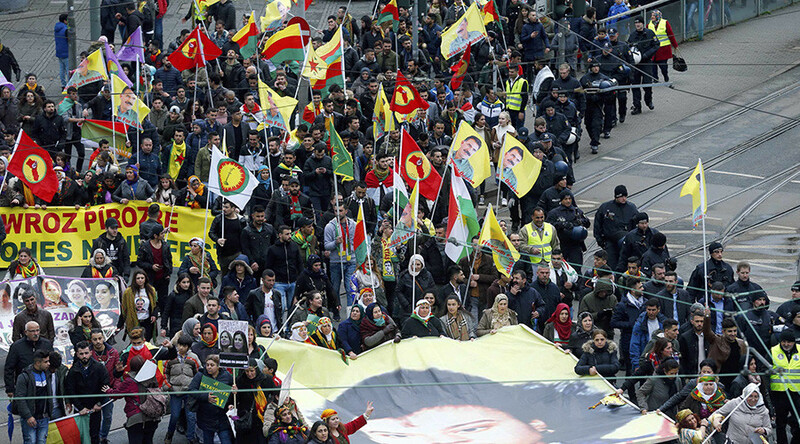 The crowd chanted “Erdogan terrorist” and “Freedom for Ocalan”, Reuters reported. They also carried posters, urging voters in Turkey to say “No” to the expansion of Recep Tayyip Erdogan’s powers in the referendum. “The Europeans should hear us, empathize with our suffering and help us. It would be best if they imposed economic sanctions on Turkey," one of the Kurdish demonstrators told Reuters. Another protestor expressed concern that Erdogan will increase persecution of the Kurdish minority in Turkey in the event of a successful plebiscite. "It could be that he'll say: 'I've won again' and then he'll start fighting again and destroying Kurdish towns or killing Kurds," he said. Frankfurt police said the protest was peaceful. PKK is outlawed as a terrorist organization in Germany and elsewhere in the EU, as well as in the US. The Kurdish protesters ignored demands from the authorities to remove PKK and Ocalan flags, but police didn’t interfere, only filming the demonstrators, according to DPA news agency. “We want to guarantee they can exercise their fundamental rights,” the police said of the Kurdish protesters on Twitter. Saturday’s rally coincided with the Kurdish celebration of the Iranic New Year, the Newroz. 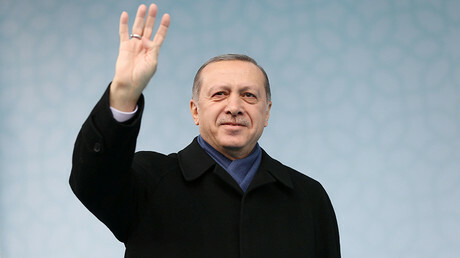 Turkey, which is going through a tense and trying period in relations with the EU over the April 16 referendum, blasted Germany for allowing the rally. "We strongly condemn the German authorities for allowing the demonstrations by PKK terrorist supporters," Ibrahim Kalin, Erdogan's spokesman, said. Germany was legitimizing terrorists, while banning the referendum rallies by Turkish officials in the country as “dangerous,” Kalin added. In the run-up to the referendum, several German cities have canceled rallies organized by Ankara and aimed at drumming up support among Turks in Germany. The gatherings were to be addressed by various Turkish cabinet ministers. The move sparked outrage from Erdogan, who accused the German authorities of acting like “Nazis and fascists” while also threatening to withdraw from the migrant deal with the EU. Another issue souring Ankara - Berlin relations is the detention of Turkish-German journalist, Deniz Yucel, in Turkey. However, earlier this week, the German government approved voting by an estimated 1.4 million Turkish citizens living in Germany who are eligible to vote in the April 16 plebiscite.